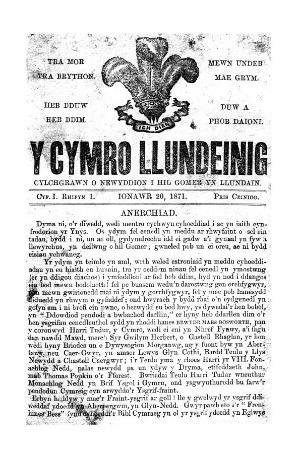 A weekly Welsh language periodical serving the London Welsh. The periodical's main contents were news regarding the London Welsh community, news from Wales and poetry. Publisher Details: Jenkins & Co.